Problems in marriage, either before or after, are the manifestation of what is "karmically destined". Problems occur when there is a lack of agreement between what we want to happen and what we are due for. Matrimonial Remedies has experts in Vedic and Nadi astrology to identify the cause of the problems and suggest appropriate remedies. Karma is not to punish us but to evolve us to a higher level of consciousness. The Laws of Karma are the Laws of the God's Cosmic System and the best way to break away from the Karmic effects is to connect with the Divine. The two effective remedies that we perform for Marriage related problems are a) Temple remedy trips and b) Fire rituals. Temple remedy trips are one of the most effective techniques to connect with the vibrations of the divine. There are specific temples that resonate with the specific energies of the divine. 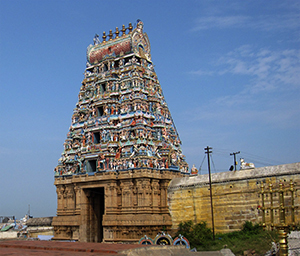 Depending upon the problem, an astrologer would suggest individuals to visit and perform rituals in these temples. For example, if a person is under the influence of Rahu or Ketu, our Vedic experts will suggest the Famous Rahu or Ketu power spots and the remedy trips can be carried out by Brindavan Mystic services. There are some powerful temples which will help to remove our bad karmas and help to appease our ancestors. Tarpanam remedies are performed here. We have certain temple remedy trips in Tamil Nadu. Apart from these, temple remedy trips are suggested by astrologers, depending on one’s horoscope. Brindavan Mystic Services Private Ltd. organizes packaged tours to these powerful vortexes, which will help to solve your marriage related problems. Fire is a purifier and consumer of all. It acts as a mediator between the worshipper and the God. 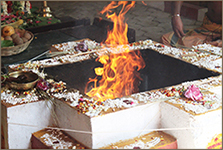 Matrimonial Remedies ensures that the fire rituals are performed with properly trained priests, at proper timings and also with proper herbs to provide effective relief. Planetary fire rituals are organized to strengthen Mars, Jupiter and Venus, the planets responsible for relationships. Matrimony Remedies ensures effective results of the remedies prescribed. It would also suggest individual practices to its customers for attracting the right relationship.